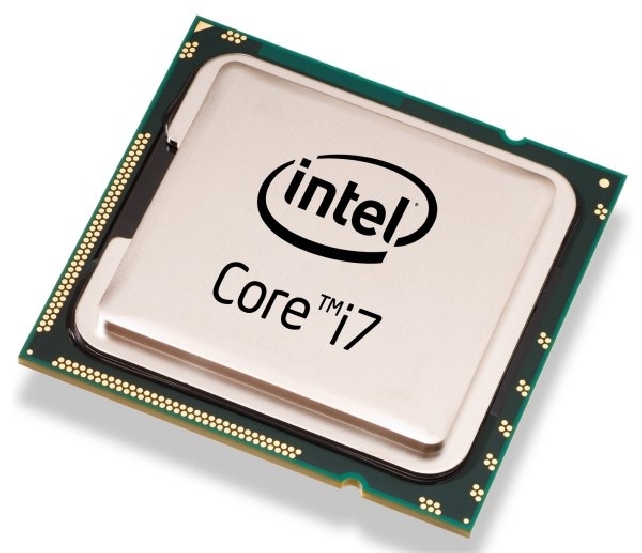 In the chipmaking world, Intel has long dominated traditional desktop and notebook computers, but has so far failed to tap into the mobile revolution. Meanwhile, in the mobile world, ARM-based processors from a number of chipmakers have been winning the day, thanks to their low power requirements and decent performance. However, the two camps are heading for a show-down. The industry is shifting to a “post-PC” mode focusing on smartphones, tablets, and mobility — along with a need for desktop-like performance. And the battle lines are now being drawn: At this week’s BUILD conference, Microsoft reaffirmed its commitment to ship Windows 8 for ARM-based devices, the first time the company has moved its core operating system off x86 hardware since the bad old days of Windows NT. However, Intel is proving two can play the defection game, announcing on the same day that it plans to work with Google to produce a version of Android for Intel’s low-power Atom processor family. Unlike PC processors, the world of ARM processors isn’t dominated by a single manufacturer. 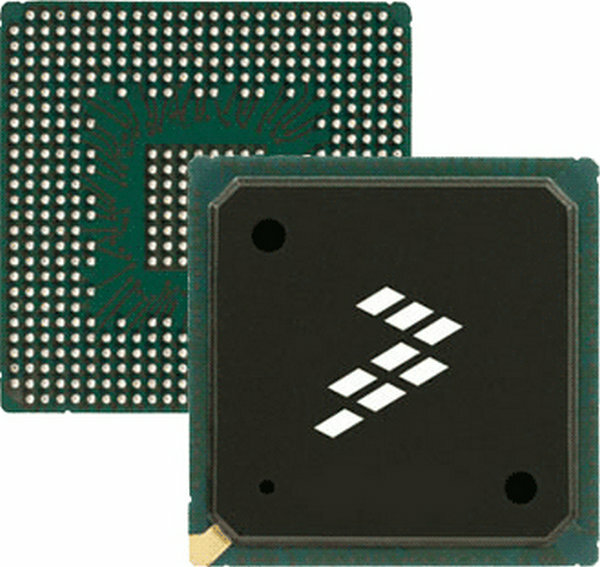 Although ARM Holdings continues to develop CPUs, it doesn’t make chips. Instead, it licenses IP cores — basic elements of processor design — to other companies, who in turn adapt the technology to their products and manufacturing processes, often by grafting on other components. ARM processors appear in a dizzying number of devices, from routers to cameras to media players to set-top boxes to hard drive controllers to very nearly every mobile phone on the planet. The ARM processor core hasn’t changed substantially in many years: It’s a 32-bit RISC architecture (yep, it’s currently limited to 4GB of memory) that has no cache and includes no microcode. Arguably, the ARM core may be the most straightforward 32-bit processor in production today — and that simplicity means ARM processors can be produced in a wide range of facilities, including older fabrication plants that are too obsolete to produce more modern chips. Although the ARM architecture has become more sophisticated over time, the simplicity also means ARM processors pack a lot of performance at clock speeds and power requirements substantially below desktop computing standards. Those low power requirements — and subsequent low heat emissions — coupled with decent performance have made ARM processors the go-to CPUs for battery-powered devices. With the advent of smartphones and the rise of tablet computing, ARM processors have suddenly taken a front-stage role in consumers’ digital lives, rather than lurking unseen within media players and cameras. This has everything to do with Microsoft’s decision to embrace ARM with Windows 8. Just as Microsoft has to play catch-up after missing the Internet revolution, the media-player revolution, and the smartphone revolution, the Redmond software giant realizes it must be in the tablet game — and in the current market, that means supporting ARM processors. To Microsoft’s credit, the company has made the bold decision to develop Windows 8 for ARM, rather than merely upscaling its existing Windows Phone platform or attempting to leverage Windows CE technologies for embedded systems. The move marks the first time since the early 90s that Microsoft has attempted to ship mainstream Windows for a non-Intel platform: The last time was a version of Windows 2000 that supported workstations based on DEC Alphas. For ARM, Windows 8 support could mean a definitive move into the mainstream computing world — ironic, since the platform was first conceived for use in desktop computers. Being embraced by the world’s leading computing platform is not only a tremendous validation, but potentially a tremendous payday, both for ARM and for companies that move forward with making ARM-based Windows 8 devices. 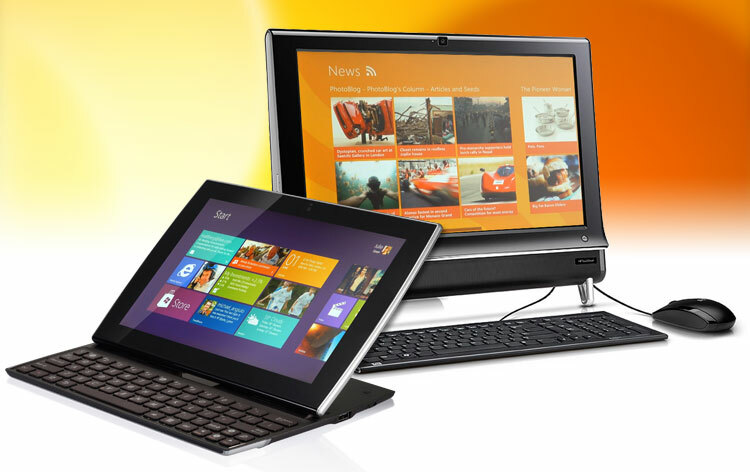 For Microsoft, getting Windows 8 onto ARM processors gives the company a chance to compete in the tablet arena. That means not just a chance to appeal to media- and social networking-hungry consumers, but also to Microsoft’s enormous base of business and enterprise customers. Those customers want tablets that integrate easily and securely with Microsoft’s server, cloud, and enterprise products: Think SharePoint and Exchange, but also Office 365 and its Azure cloud platform. Microsoft isn’t in the hardware business; it sells software, and its Office and server businesses are a major portion of that income. But for consumers, Windows 8 on ARM could be a mixed bag. On one hand, it has one tremendous downside: As forecast months ago by an outspoken Intel VP, Windows 8 for ARM will not run existing Windows applications out of the box. Instead, application developers will have to port new versions of their applications if they want to run on Windows 8 ARM devices. At a technical level, this makes sense because forcing comparatively underpowered ARM processors to emulate more-complicated (and power management-oblivious) Intel processors is an enormously complicated engineer task. Even if Microsoft pulled it off, the best case result would still offer sluggish performance and poor battery life. But it does leave many potential customers for ARM-powered Windows 8 tablets with a touch choice: At least initially, software choice will be quite limited. That said, part of the reason Microsoft is demonstrating an early version of Windows 8 to developers a good year ahead of the operating system’s release is so that the company wants developers to start getting ready for the Windows 8 world. That includes developing new versions of their applications that support Windows 8’s new touch-focused Metro interface, as well as getting ready to produce ARM versions of their products. Microsoft may also be able to win consumer converts to ARM devices via integrated Xbox Live services, Microsoft’s cloud-based productivity suite, and an online app store. Microsoft first announced that Windows 8 would support ARM processors all the way back in January, and the company has had the better part of a year to formulate its response. It’s no coincidence that response came the same day Microsoft began demonstrating Windows 8 to developers: Intel and Google have announced they will work to produce an optimized version of Android for Intel’s Atom family of processors. The companies didn’t offer any specific dates for when an Intel version of Android might be available, although Intel CEO Paul Otellini said the first Android smartphones with Intel chips inside should hit the market in the first half of 2012. The partnership is expected to build on Google and Intel’s collaboration on the Chrome OS (which drives Google’s net-dependent Chromebooks) and the Google TV platform, which the company hopes to relaunch soon after a very poorly-received first try. Android was originally developed as a smartphone platform aimed at power-sipping ARM processors. As the iPad took off, Google and Android device makers leveraged the operating system onto tablets, with the first serious tablet-oriented effort being Android 3.0 Honeycomb. Although Apple is still the king of the tablet market, Android has taken over as the top-selling smartphone operating system. Intel very much wants to be in the smartphone and mobile computing markets as sales of traditional desktop and even notebook computers wane, so a partnership with the world’s leading smartphone platform makes complete sense. However, despite investing millions of dollars to tool its Atom processor platform for mobile devices, so far Intel hasn’t managed to make any entry into the smartphone or tablet market. At the end of 2010, Intel forecast it would be powering almost three dozen tablet computers by the end of 2011. We haven’t seen progress on that front, and the company recently postponed the introduction of its smartphone-oriented Medfield chipset until the first quarter of 2012. In part, Intel’s failure to enter the mobile market can be seen as fallout of from its relationship with Nokia: The companies had combined their mobile OS efforts in MeeGo (which was born from Intel’s Moblin and Nokia’s Maemo), only to see Nokia defect to make an all-or-nothing bet on Microsoft’s Windows Phone platform. However, Intel’s recent struggles in the mobile arena aren’t new: the company tried to get its processors into PDAs back in the early 2000s with no success, and Intel has tried to get Atom processors into smartphones back since 2009 with identical results. Despite years of big talk, Intel has yet to deliver processors capable of competing with ARM-based mobile devices. Intel has also faced a software problem: If you want to build an Atom-based smartphone, the now-moribund MeeGo is about the only operating system you can use. By partnering with Google, Intel not only enables device makers to build Android devices around Intel processors, but enables Android developers to build applications and services for Intel-powered Android devices, likely using the same tools they’re already using for ARM devices. Both Microsoft’s plans to launch Windows 8 on ARM devices and Intel’s plan to get inside Android devices hold promise, but at least initially, seem to be a mixed bag for consumers. Leaving behind the world of legacy Windows software presents a tremendous opportunity for Microsoft to innovate in the post-PC world, but may also present an insurmountable hurdle to consumers (and many businesses) invested in the Windows universe. Similarly, bringing Android over to Intel-based smartphones and tablets represents a tremendous opportunity for Intel, but may serve to further fragment the already-confusing Android marketplace—and that’s assuming Intel actually comes through with a workable and affordable mobile solution. And so far, that’s never happened.